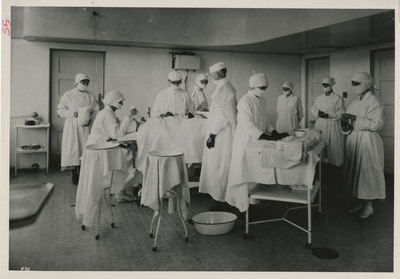 Physicians and nurses operate in a surgery suite at the Good Samaritan Hospital. Unknown, "In Surgery" (2012). Good Samaritan School of Nursing Photographs. Image. Submission 55.